e at Eagle Landing State Park in Haddam before press conference. Haddam – Today, June 22nd, State Senator Art Linares, State Representative Robert Siegrist, Haddam First Selectwoman Lizz Milardo, and Middlesex Chamber of Commerce President Larry McHugh stood at Eagle Landing to announce that, after 30 years, clean water is finally coming to Tylerville. Following legislative efforts to obtain state funding, extensive testing by the Department of Energy and Environmental Protection (DEEP), and the tireless advocacy of First Selectwoman Milardo and Chamber President McHugh, a proposal has been put forward to connect Tylerville residents to a municipal water main connecting to Chester. DEEP will seek funding from the State Bond Commission for the cost of installing an eight-inch water main from Chester to Tylerville and hooking each home into the water main. Once approved, the funds will be made available to the town to construct the project. “Nothing is more important for human survival than clean, drinkable water. Scientists tell us we can survive for three weeks without food, but the human body is 60 percent water. After three days without water, a person will die. That brings a whole new perspective to the fact that the people of Tylerville have been living with contaminated wells for more than 30 years,” Sen. Linares said. While he only joined the General Assembly after the last election, Rep. Siegrist said he has lived in the area since he was 12 and knew when he took office that he would be working on this important issue. "Today is a good day for the residents of Tylerville. For far too long, they have been burdened with managing the way in which they access clean drinking water, something that most of us take for granted each time we turn on our faucets. In this day and age, it is unacceptable for people to have to continue using alternative methods for decades to filter out harmful contaminants or even drink bottled water because their water source is tainted. Clean, consumable water is a necessary, life-sustaining resource that everyone should have access to, and without disruption. 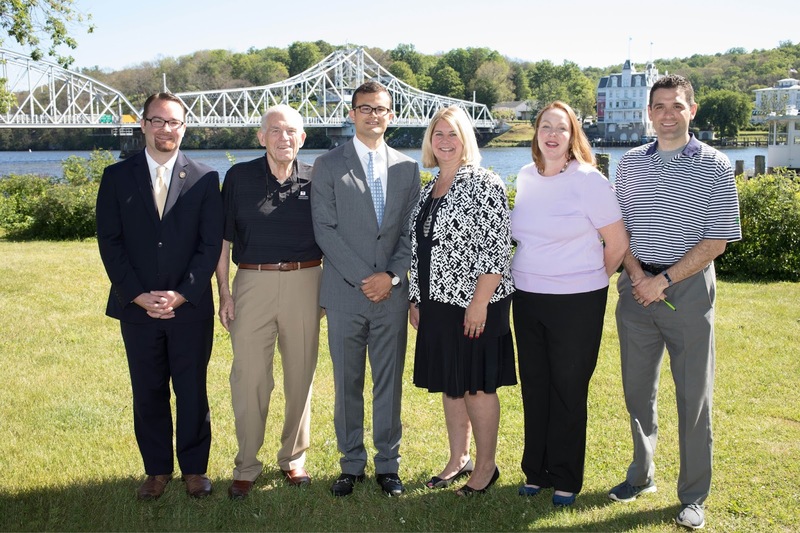 I am very proud to have been part of this concerted effort in working with First Selectwoman Milardo, along with Sen. Linares, DEEP and other state agencies, and our local Chamber of Commerce to bring about a permanent solution for those who have been impacted," said Rep. Siegrist. Middlesex Chamber of Commerce President McHugh said the water main provides a real, long-term fix for Tylerville. “A solution to Tylerville’s groundwater problems is long overdue. 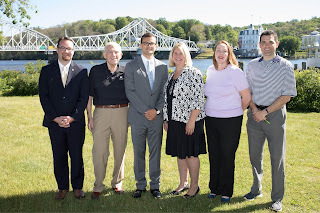 We are pleased with the work of Haddam First Selectwoman Lizz Milardo and her team along with the state Department of Energy and Environmental Protection (DEEP), State Senator Art Linares and State Representative Bob Siegrist, the state Department of Public Health (DPH) and Connecticut Water. This is very important for local infrastructure for current residents and businesses in the Tylerville area and for possible future economic development,” said Larry McHugh, President of the Middlesex County Chamber of Commerce. First Selectwoman Lizz Milardo said she is happy to see the issue finally come to a successful conclusion. “This has been a long time coming for the residents of Tylerville. I am grateful that we were able to reengage with DEEP and DPH, shortly after I was elected and work as a team to come to a resolution on this issue. I want to publically thank my town planner Liz Glidden for all of her help on this matter in addition to the state agencies, Larry McHugh, Art Linares and Bob Siegrist. I am confident that Haddam will now be able to provide clean potable water and continue to move Haddam Forward,” Milardo said. As background, mythel tert-butyl ether, a chemical formerly added to gasoline, and 1,4 dioxane, a solvent stabilizer have been found in the wells of 31 residential and commercial properties in the Tylerville section of Haddam. For several years, the state has provided bottled water to six of the properties, while 25 have carbon filters, which are changed periodically by the state. A public hearing with DEEP, Department of Public Health, the Connecticut River Area Health District, and Connecticut Water Company was held Wednesday to update residents on the proposal for the water main and take public comment. Residents can view the proposal on the DEEP website and may submit written responses to DEEP by July 10.